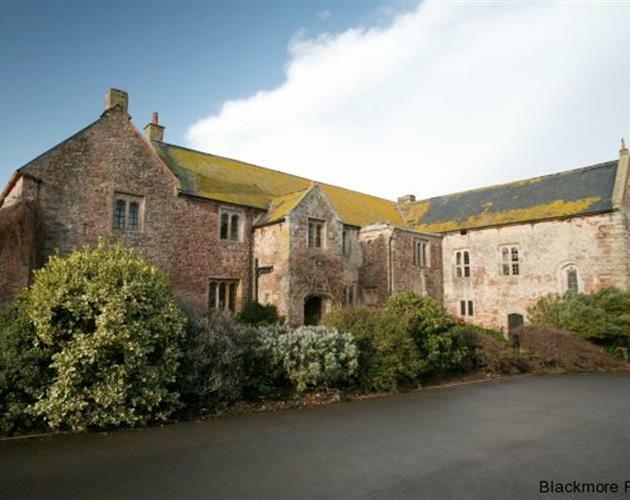 Blackmore Farm Accommodation . . . 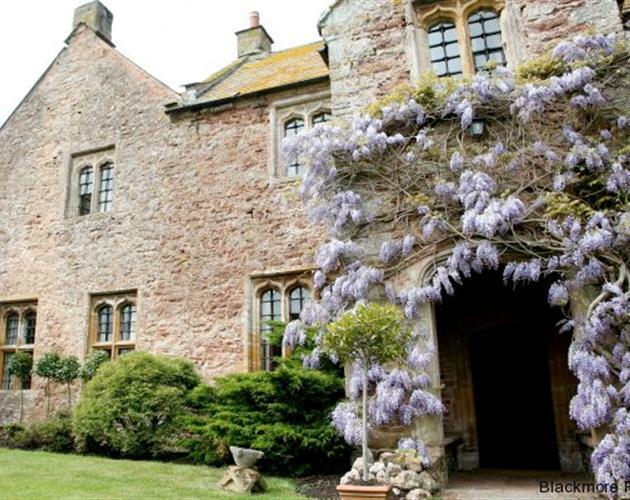 Step back in time at this unique Grade 1 Listed, 14th Century Manor House which retains many period features including oak beams, stone archways and medieval garderobes. 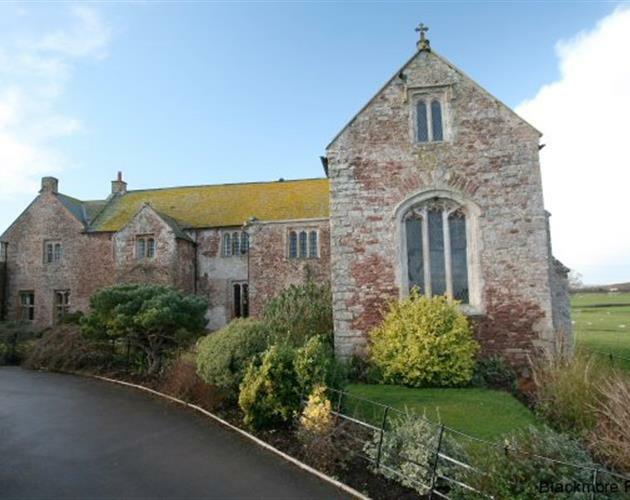 A friendly welcome awaits you at this family run farm situated in a quiet rural location with views to the Quantock Hills. With views to the Quantock Hills the main features of this room includes the original roof trusses and a cob and lime plaster wall. An oak four poster bed forms the centre-piece of the room. En-suite Bath/Shower. This south facing bedroom gives a pleasant aspect of the garden and features oak panelling and beams. The room is furnished with a double oak bedstead. Stairs to en-suite Bathroom and sitting room with colour TV. 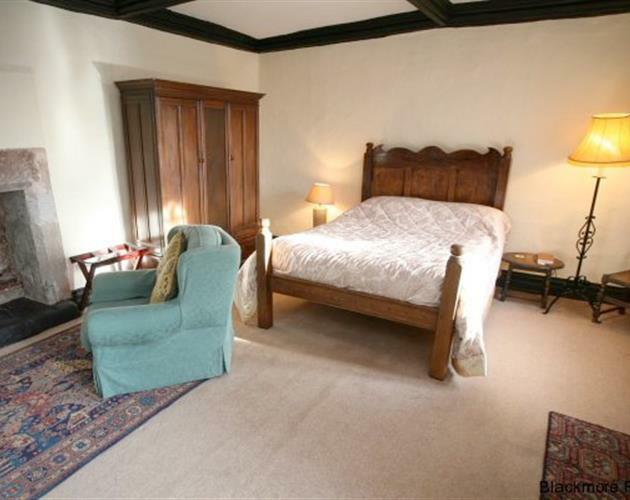 This room overlooks the front garden and is furnished with one double and one single bed. There is also a cot available. It has an en-suite shower room. All bedrooms have colour TV., Tea/Coffee making facilities, hairdryer and full Central Heating. 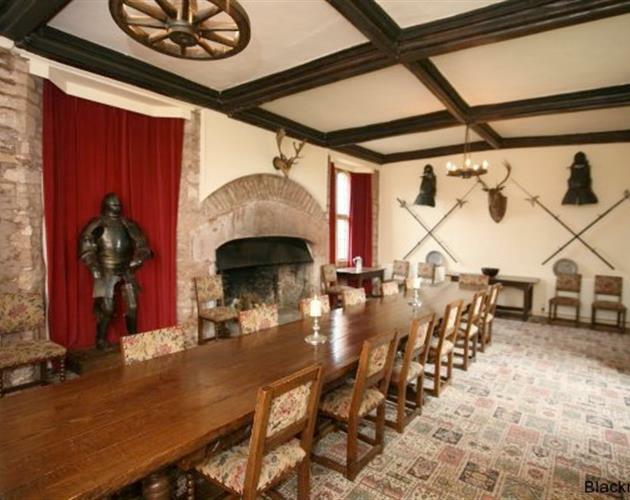 Breakfast is taken in the Great Hall around the 20ft Oak carved table. The other feature of this room includes mullion windows and the massive sandstone fireplace. From £120 to £140 per night for a Double or Twin En-suite room including breakfast. Single Occupancy £75 to £95 per room per night including breakfast.